From one perspective, the 2016 election held the most potential of any in recent history for third-party candidates. With record unfavorability ratings for both major-party options, one could expect more voters than usual to have sought out alternatives. And the Green Party's Jill Stein in particular was hoping to capitalize on the mobilization of a sizable progressive base by Sen. Bernie Sanders' expectation-bursting bid for the Democratic nomination. At the same time, fears of a Donald Trump presidency among voters on the left tempered willingness to stray from the Democratic ticket. How many people voted for Jill Stein in the 2016 election? More than a million people voted for Stein — more than had been expected. The number of Stein voters was slightly more than 1,200,000 as of Wednesday evening; that's roughly 1 percent of people who voted. Real Clear Politics found Stein polling at a steady 2 percent leading into November, making that result actually fairly predictable ahead of the election. Had Stein reached 5 percent in the national popular vote, the Green Party would have qualified for partial public funding in 2020, which would have been a big deal, since a drastic disparity in funding is one of many factors that disadvantage third parties. Stein hardly ever broke past 3 percent in any polls from September on. Stein's campaign didn't get the massive influx of supporters she hoped for from Sanders voters. Her big campaign promise to abolish student debt was ultimately not enough to get large numbers of people to her side. But she performed notably better than she did during her first presidential run with the Green Party in 2012. During that election, she garnered a mere 0.4 percent of the popular vote from a total of 469,501 voters. To give some historical perspective to her 2016 performance, the Green Party candidate who performed the best in history was Ralph Nader in 2000, when he earned 2.74 percent of the vote for president. The ... unique? ... political climate of 2016 and the increased visibility of third parties this time around indeed had an impact on Stein's performance. Her low numbers don't necessarily reflect a lack of interest in her proposals; though Sanders is certainly not quite as far to the left as Stein, their similarities would suggest broader support for her than she received at the voting booths. But the "spoiler effect" and a bizarre candidate on the Republican ticket likely kept many would-be Stein voters in line with Clinton. 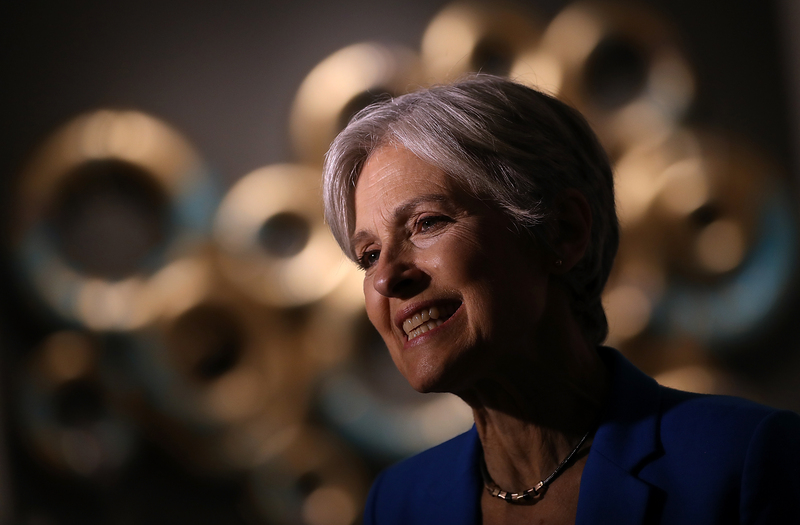 It was, overall, a good year for Stein and the Green Party. Just not for, you know, America.